Is there a better alternative to Smart Image Converter? 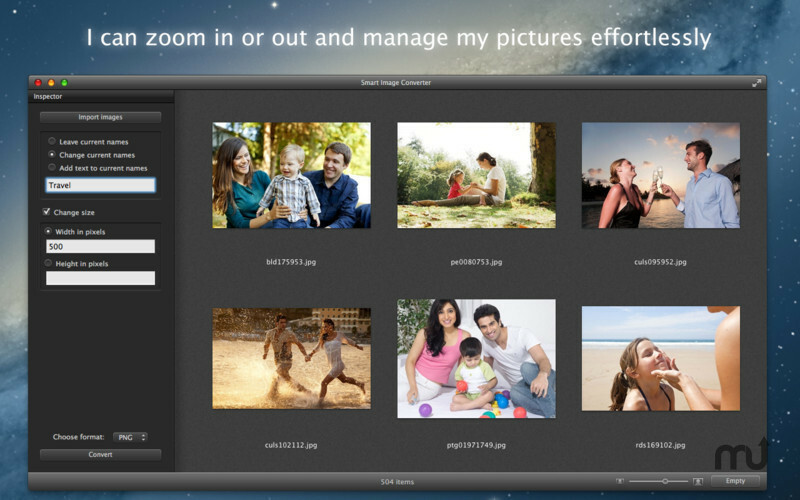 Is Smart Image Converter really the best app in Image Editing category? Will Smart Image Converter work good on macOS 10.13.4? 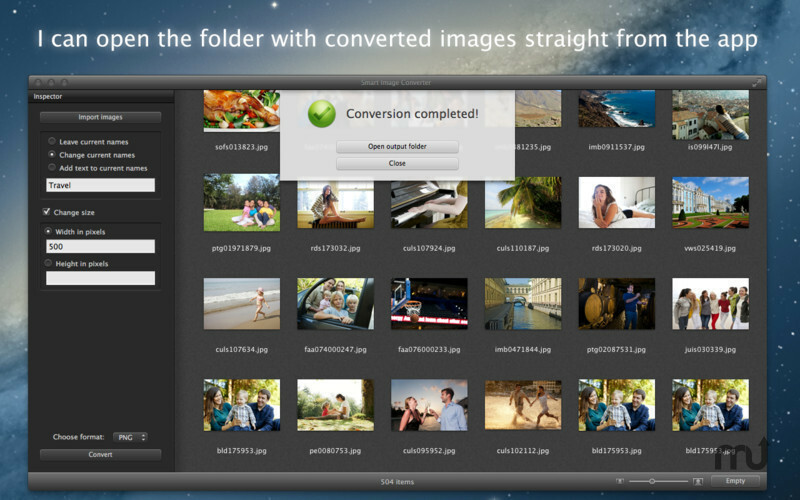 Smart Image Converter converts your images and photos to the most popular file formats in a fast and convenient way. 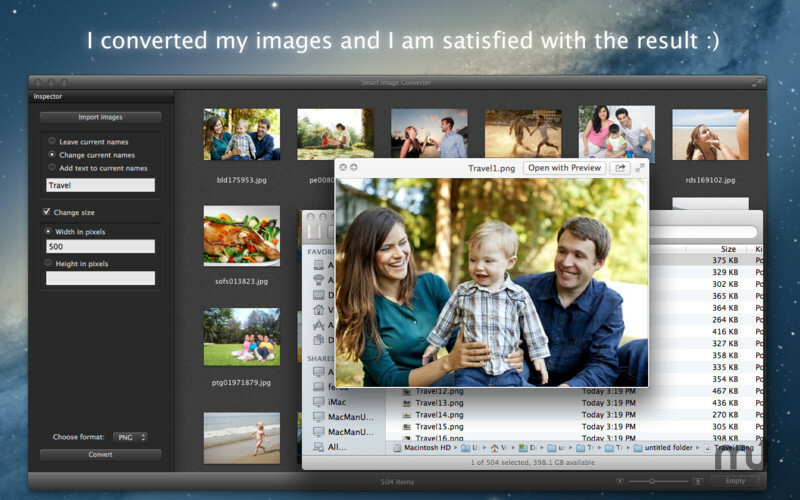 Smart Image Converter needs a review. Be the first to review this app and get the discussion started! Smart Image Converter needs a rating. Be the first to rate this app and get the discussion started! The app can be used for one separate function or the functions can be combined and all be completed at once. If you want to change only the file names for hundreds of images or photos, it's really fast. If your images need to be resized, it's really easy. If you prefer your images in different file format, it's really simple. The main advantage of Smart Image Converter is clear usage: just a few simple settings and fast results with only a few clicks. 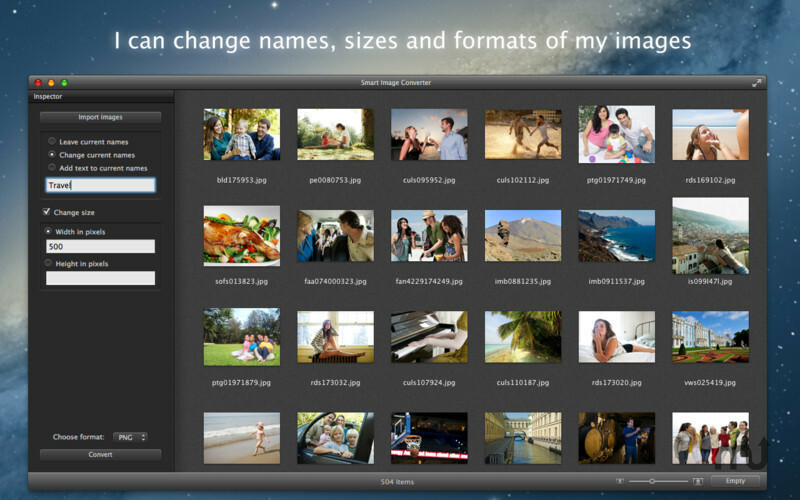 Accurately grouped images will help you not to lose your way among thousands of photos.